Eisenberg has done it again. I'm a big Eisenberg fan. Ever since I tried their face mask and day cream (reviews are coming) I knew that this brand couldn't disappoint me. 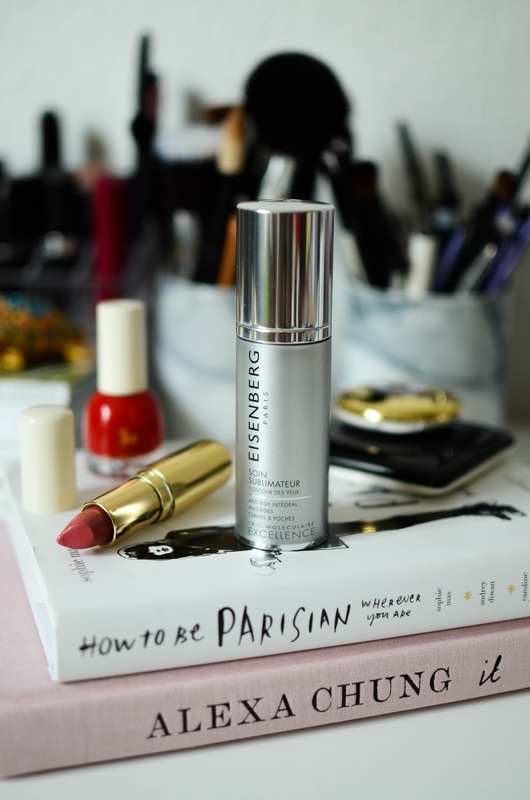 So when I got the eye cream (if you read the blog long enough, you'll know that I'm all about finding ways how to brighten up those dark circles) I was so excited to start using it that I totally forgot about taking a photo of the "before" look. Of course, it's not like the dark circles have disappeared, they are still there. I'm starting to realize that it's physically impossible to get rid of them, but looking now in the mirror, I can tell that they are quite lighter. And I'm very ok with that - leaves less job for the concealer. Besides that it works magic when I haven't had enough sleep because it just makes that puffiness go away. It also says that it helps with eye contour - is anti-age and anti-wrinkle. It's a very light consistency cream, that soaks in skin almost immediately. I use it every morning and evening. Just half a pump is enough for both eyes. I just lightly smooth it out and then blend it in the skin. Also it works perfectly as a under eye primer. The only thing I don't like is the packaging - I don't like that I can't see when I'm going to run out of it. How do you deal with dark circles? What is your favorite eye cream? 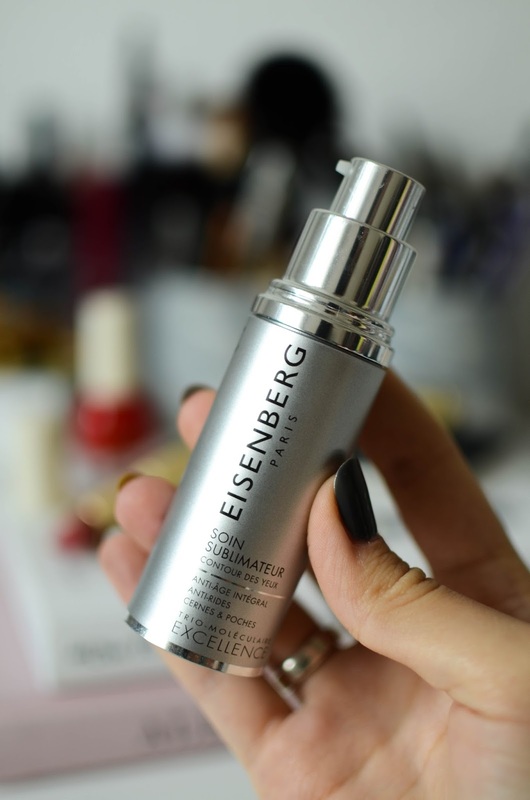 /Want to thank the official Eisenberg representative Liga Zarina for the chance to test this product!